While flash memory is all the rage at the moment, it seems as though phase change memory could potentially usurp flash memory in the future. Word has it that Intel and STMicroelectronics are working to prepare this new memory technology sometime later this year. Samsung themselves have already announced that their line of phase change memory will be ready by next year, so let’s take a comfortable seating position as we discover just exactly what phase change memory is all about along with the whole slew of pros and cons of such a memory system. 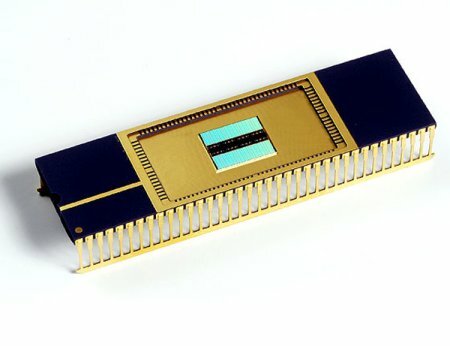 Phase-change memory (also known as PCM, PRAM, PCRAM, Ovonic Unified Memory and Chalcogenide RAM C-RAM) is a type of non-volatile computer memory. PRAM uses the unique behavior of chalcogenide glass, which can be “switched” between two states, crystalline and amorphous, with the application of heat. PRAM is one of a number of new memory technologies that are attempting to compete in the non-volatile role with the almost universal Flash memory, which has a number of practical problems these replacements hope to address. Phase change memory is approximately 100,000 times faster than current flash memory, bringing write speeds of up to 10ns per byte from the current 1ms. In addition, it is by far more durable of the two. Current flash devices can withstand around 10,000 to 100,000 writes per sector before degrading, but phase change memory raises the envelope by withstanding up to 100,000,000 writes per sector, enabling it to retain data for a much longer period of time without ending up corrupted. Conservative estimates point toward years or even a decade. One of the major disadvantages, however, would be the high temperatures involved during the manufacturing process, while a higher voltage required to write data could prove detrimental as everyone is trying to prolong the battery life of products these days. There is no word on pricing at this point in time, but Samsung has stated that they will start with a 512MB unit. Yea, let’s just keep it manufactured in the US this time around .